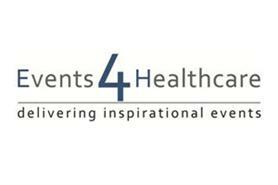 Events 4 Healthcare has recruited an account executive and an events executive following a number of undisclosed new business wins. Polly Doman joins the agency as account executive and Bekki Richards as events executive. Both have been brought onboard to support new clients in the pharmaceutical and healthcare sectors. Doman's role will see her work across Events 4 Healthcare’s newly set-up sister company Technology 4 Events, which has developed an iPad app called Mi Thoughts. Karl Hamer, Events 4 Healthcare’s managing director, said: "Our business continues to go from strength to strength. This year we have a number of new clients in the medical education field including an outstanding programme in long term conditions and HIV. "In addition we have developed a number of new events that are under the Events 4 Healthcare banner. We look forward to welcoming our two new appointments to further develop our offering and excellence in delivery."